Preserving the land is the first step; taking care of it is the next. 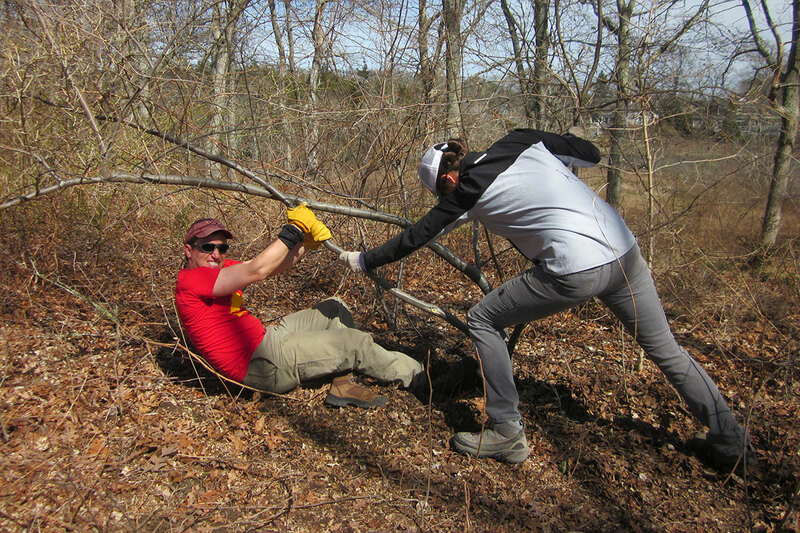 Having assumed a key role in preserving land in Falmouth, The 300 Committee believes it should also help the town take care of conservation land. 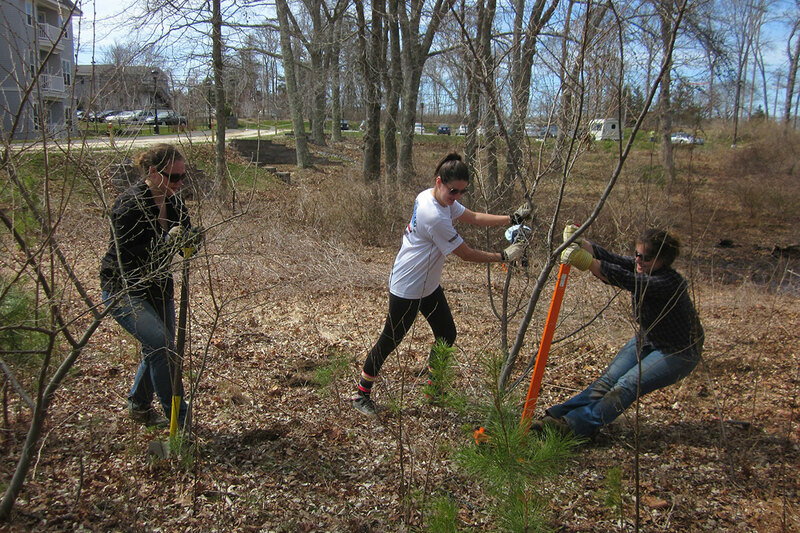 The 300 Committee established a volunteer stewardship program in 1989. More than 60 stewards have adopted town and 300 Committee parcels, serving as caretakers for nearly 2,000 acres. 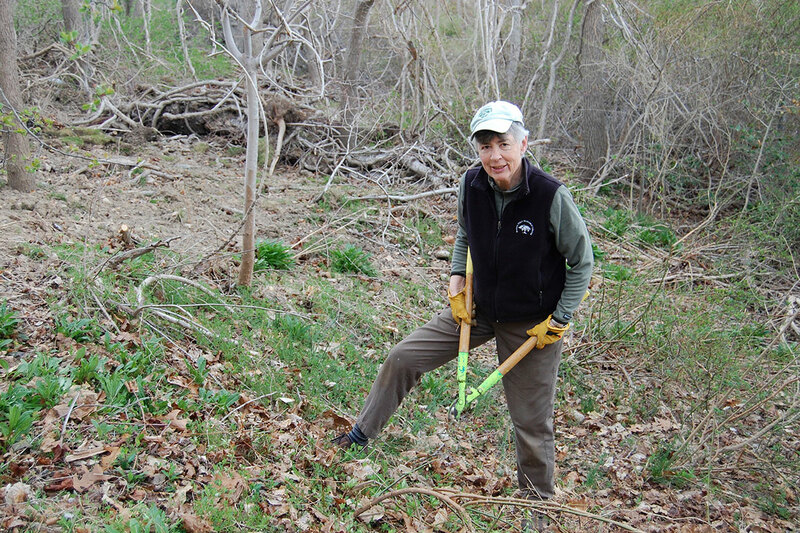 The stewards monitor the land regularly, keep trails cleared and clean up debris. After many years of maintaining an all-volunteer work force, T3C created a staff position dedicated to land management and stewardship in 2012. 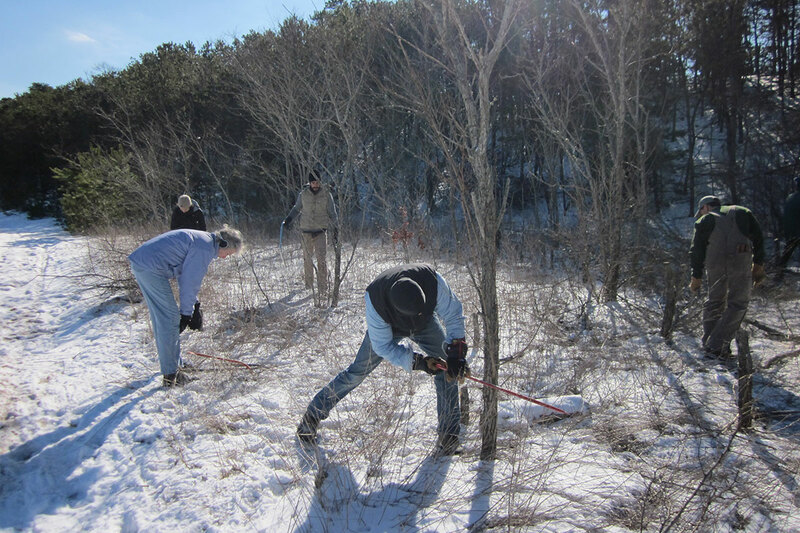 Primary responsibilities of the Stewardship Coordinator include planning and executing land maintenance projects on conservation parcels and coordinating the volunteers to help accomplish those. The Stewardship Coordinator also spends time conducting parcel monitoring and follow up, developing inventories of flora and fauna, creating land management plans and numerous other projects. 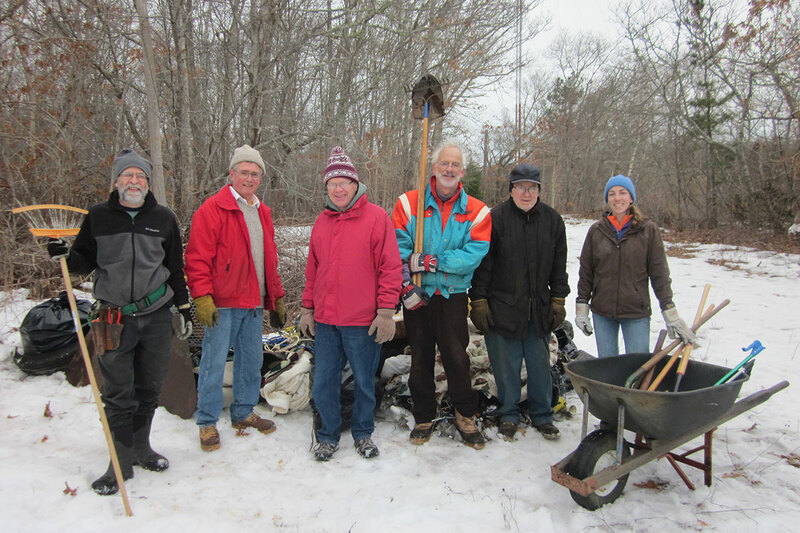 When serious problems occur, such as encroachment from abutting property owners or piles of brush or trash dumped, the land trust works with Town departments, notably Conservation, Marine and Environmental Services, and Public Works to resolve these issues. The Town of Falmouth and The 300 Committee signed a memorandum of understanding in March 2005 that outlines the role of stewards on town land. In addition, T3C's Stewardship Manual helps guide the work of the land stewards. Contact the office if you are interested in becoming a Steward. Choose the .pdf version and print. Once the form is completed, please sign it and return the signed copy to The 300 Committee office. Choose the Word version. Save it to your computer using the name of the property (e.g. “Flume Pond Report”). Complete the form by positioning your cursor in the space provided. As you input more information, the amount of space will increase accordingly. Then print a copy and sign it. Please deliver the signed version to The 300 Committee office.